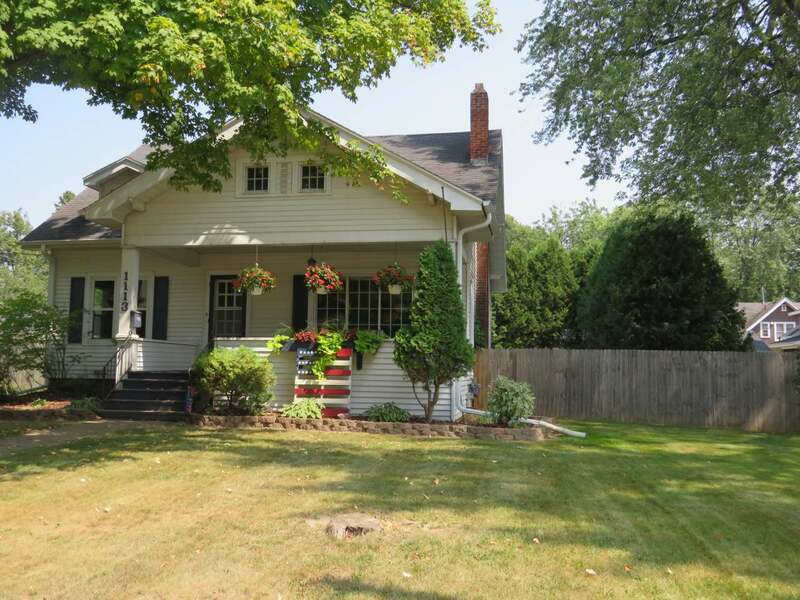 Large 4+bedroom/2 bath home with original hardwood floors in dining room, large kitchen with plenty of cupboards, spacious living room, 2 bedrooms and full bathroom on main level. Upper floor consists of 2 nice sized bedrooms and another full bathroom with two sinks. Basement features den/rec room with newer carpet and drywall, storage room, laundry room and a workout room. Updates include renovated upstairs bathroom, all new laminate floor, master bedroom carpeting, and the entire house had new windows installed all in 2012. In 2013 the yard was fenced, 2017 new deck was installed, and 2018 garage roof is being put on. Call today to view! This is an adorable home, that has been well cared for by the sellers and it shows!